In this assisting Immersion you will deepen your own yoga practice, breakdown foundational poses, and gain an understanding of the energetic flow within all postures. This hands-on immersion is an experiential program that will change your practice and your teaching. The effects of our food and lifestyle choices are powerful and far-reaching. Eating well is essential in caring for your body, boosting immunity and increasing your energy. 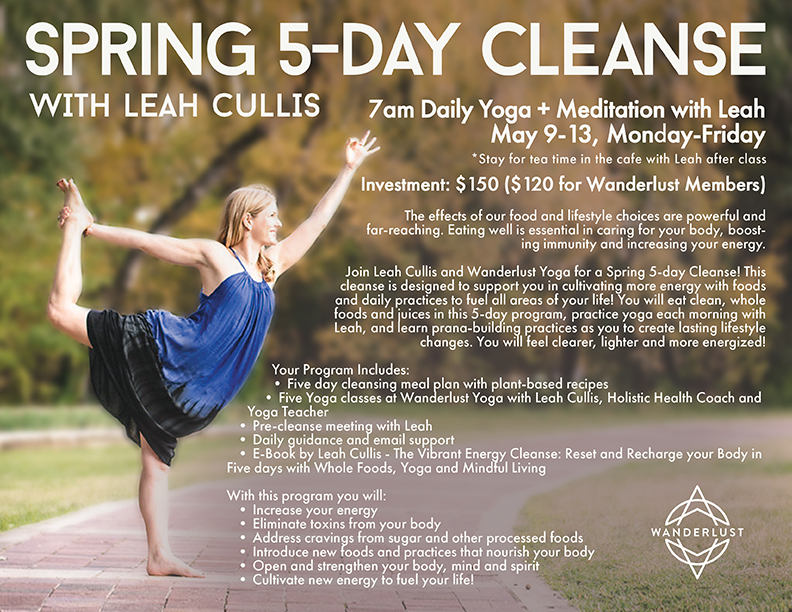 Join Leah Cullis and Wanderlust Yoga for a Spring 5-day Cleanse! This cleanse is designed to support you in cultivating more energy with foods and daily practices to fuel all areas of your life! 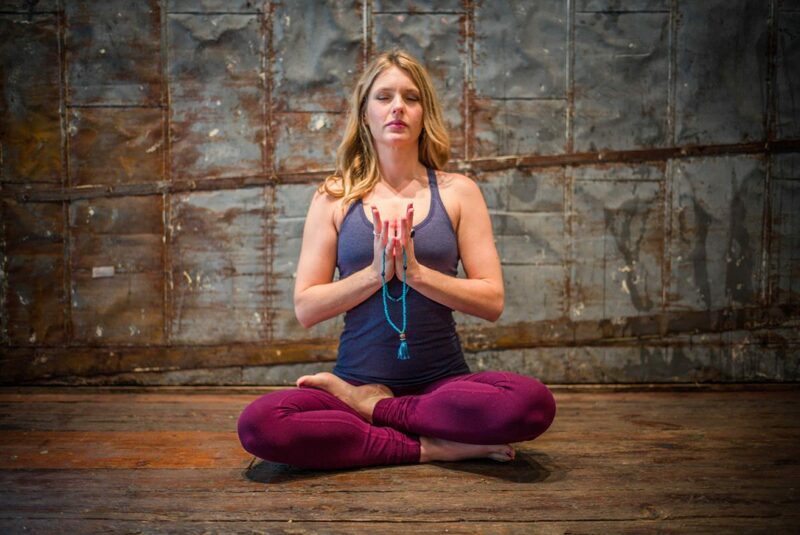 You will eat clean, whole foods and juices in this 5-day program, practice yoga each morning with Leah, and learn prana-building practices as you to create lasting lifestyle changes. You will feel clearer, lighter and more energized!